You know the sound your iPhone makes when you plug it in to charge? Well, the new 12-inch MacBooks (yes, those really thin ones) make the same sound when you connect and disconnect the power. And guess what? 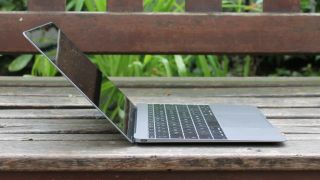 With a little trick, you can have this same sound on your current MacBook Pro or MacBook Air as well, allowing you to know for sure that your charging cable is indeed properly connected to your laptop. To begin, ensure that you have the latest version of Yosemite (10.10.3 or higher) installed on your MacBook Pro or Air, and then open the Terminal (located in /Applications/Utilities). Unplug your MacBook if it's plugged in. Type the line shown here into Terminal to activate a chime when you plug in your MacBook's charging cable.